It’s here: that time of year when it’s still winter, but the anticipation of spring is in the air. (And possibly on the table in the form of seed and nursery catalogs!) One of my favorite parts of self-reliance is the planning and the dreaming. Right now, I’m figuring out my garden and my livestock for the year. Do you have a plan to grow food after disaster strikes? First of all, you have to be sure that you’re stocked up on seeds, but that is only the tip of the iceberg lettuce. There’s a lot more to a survival homestead than a seed vault stashed away in your closet. Scott Terry, who has been farming for most of his life, sheds some light on the top myths of post-apocalyptic farming. For the love of all things cute and fluffy, if you plan to survive on what you raise, you need to start now. Here is a timeline for how long it takes to get your homestead to produce food. And never forget that in any given year, your garden can be a total flop. Mine was a complete disaster this year – it was so bad that it was actually funny but if we were relying on that food, we would have starved. It’s essential to know what you’ll eat if your survival garden fails, as well as how to troubleshoot the garden to try and salvage what you can. What does a one year supply of food actually look like? Granny Miller, one of my favorite self-reliance bloggers, begins getting her household set up for the year each June. A great number of her supplies are grown on her homestead while others are purchased. In this great read, she explains her yearly system, which includes other necessities besides just food. If you are on a tight budget, please don’t despair. 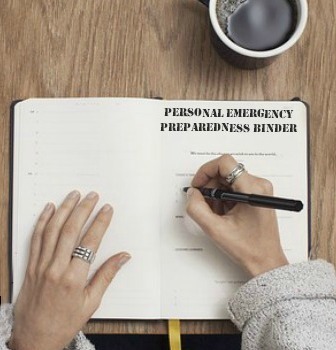 You can still prep. There are many items that you can get very inexpensively to help build up your one year supply. In fact, here’s a list of 100 very budget friendly prepper purchases. You’ll need more than just veggies to survive. Have you considered how you will provide dairy and meat for your family if it hits the fan for the long term? Consider meat rabbits, which can be raised even in a suburban backyard. Here’s a comprehensive guide to raising them for the dinner table. (And be sure to grow some rabbit friendly herbs for them.) As far as dairy is concerned, goats can be an easier, more affordable option than cows. Here are 5 great reasons to consider them for your own homestead. Want a one-year food supply? Grow it! This is my garden guideline for a year of food. 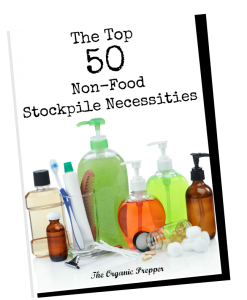 The author recommends outlines what you need to provide about 300 days of food for a family of 4. Of course, I’ll be adapting it to include more of the things we love and less (or none) of the things we hate. Like beets. I really hate beets. When is it actually planting time? If you take some steps to warm your soil, you’ll give your seeds and seedlings the best chances of thriving. Also, be sure to check this guide to last frost dates so you can plan your planting time after the risk of a freeze. Do you live in an HOA or a neighborhood that frowns on tomatoes in the front yard? If so, and you still yearn to homestead, you may need to be stealthy to make use of your entire property for growing food. Learn how to hide food-bearing plantings in plain view, while turning your yard into an edible Eden. Seed catalogs, AKA gardener’s nirvana. If you’re anything like me, right now your coffee table is covered with dog-eared, highlighted, marked up seed catalogs. Here is a link to 22 glorious catalogs you should be looking through right now. (There were some new finds for me!) And if you find all the different types of seeds a bit confusing, this guide will explain the differences and help you make the best decision. Are you raising chicks this year? Here’s the best time to start them. If you plan to pasture raise them, you’ll want to check out these tips, too. While some aren’t fans of seed banks, I like them. I think the key is to buy one to use now, and one for later. That way, you can learn the quirks of your particular supply before it’s essential that you have good luck with it. Ignore the claims of “grow 10 billion pounds of food with this tiny vault” though. There are way too many variables to be able to determine how much food you’ll get out of the seed bank, like weather, soil conditions, acts of nature, and your own gardening skills. At the time of posting, you can pick up ALL FOUR of these seed vaults for less than $50. This is a small prep that could one day be invaluable to your family. Life would be pretty boring without some spice. If you can’t run to the store to purchase it, you’ll just have to grow it yourself. Keep some seeds for culinary herbs on hand for enhancing your homegrown produce. Don’t forget to plan for medicinal herbs, too. If you are relying on what you can grow, you want to have some things on hand to treat ailments like upset stomachs, fevers, cold symptoms, and female problems. This kit contains seeds for 10 multi-purpose medicinal herbs. We love herbal teas, and most of the herbs contained in them are very easy to grow. This little vault will provide you with seeds for all sorts of flavorful herbs to help keep you healthy and in good spirits. The bonus to tea herbs? They’re very pretty when growing and can reside happily and beautifully in pots on the porch. Turn your yard into the envy of the neighborhood while adding to your dinner table! Learn how to garden like a ninja as you sneak in plants that you can use for everyday cooking, creating a sustainable and beautiful landscape that’s easy to maintain. Save time and money using the visually appealing and edible designs and harvest the fruits from your delicious paradise! I think it’s really important to have some books on hand that are more specialized, as well as the broad-scope books. This guide provides absolutely everything you need to know about caring for chickens and the information comes straight from the farm of a poultry-raising veteran. My copy arrived just in time to serve as a resource for my chicken infirmary. This is the book you MUST have if you are (or intend to be) a homesteader. With information about everything from gardening to animal husbandry to butchering to food preservation, it truly contains everything you need to know. It is a huge book and very comprehensive. Of course, as you get deeper into your products, you will want to add specific information to your library, but this book covers all of the basics. Our new rooster, Bon Jovi, never settled in, and in fact, injured 3 of my birds quite severely. Bon Jovi had a near miss with my crock-pot but got a reprieve in a friend’s more mature flock, where he’s learned to behave himself. I really didn’t think my 3 birds were going to survive, but all 3 are now back in “gen pop” with the other hens. I got some great tips from the book Chickens from Scratch that helped me nurse them through their injuries. Since the two hens who were injured are just now reaching laying age, it would have been a pretty substantial loss. Orwell, my Silkie rooster, suffered the worst injuries, but he’s back in fine fettle with the bad-to-the-bone new attitude of a survivor. We’ve considered renaming him El Pollo Loco (the crazy chicken) due to his shift in personality. You can just barely see the bald spot on the back of his head in this photo. My ducks went over to a friend’s to be butchered and will soon be residing in my freezer. (I don’t feel comfortable butchering them here, due to our septic issues.) Finally, after 8 months, we’re getting eggs and meat from our homestead. Hopefully, the move won’t cause too much upheaval and the progress will continue. Here’s one more picture from the coop. I’m going to wait to start seeds until I move. I don’t want to have a repeat of last year. I should still be able to get things into the ground by April 1. I am going to need a new chicken facility when I move, and I’d like to hear from you guys. Let me know in the comments what you would do with the two things I have free access to: a smallish metal shed (the type you’d put a lawnmower and assorted rakes in) and a large chain link dog kennel (12 feet long with 7 foot tall sides). The kennel is large enough to house the shed and still have plenty of run space. I have some ideas already but since we’ll be living on the edge of the woods, I need to make this Fort Knox to protect the birds from predators. I plan to have the chicken fort inside the fenced in area where my guard dog will be patrolling, which provides an extra layer of protection for them. Aside from that, I have other questions for you guys, as always. 🙂 What’s going on at your farm or urban homestead right now? How’s the weather in your area? What’s your favorite seed catalog? Please share your updates in the comments below!